I wake up before the alarm goes off. It’s only 4.30am and ouch, I feel hung over. Yet, all I drank last evening was lemonade! Or was it cranberry juice? 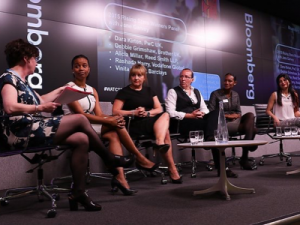 Well actually, I don’t even remember because I was on a high even before the drinks began – for I was high not on alcohol, but on the energy, the passion and the drive that filled our meeting area at Bloomberg’s offices in London. There was energy because there was purpose – no one was there by chance, we were all there by choice. 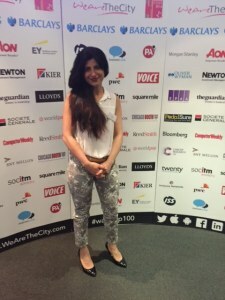 This was the shortlist celebration event for WeAreTheCity’s Top 100 Rising Star Awards. 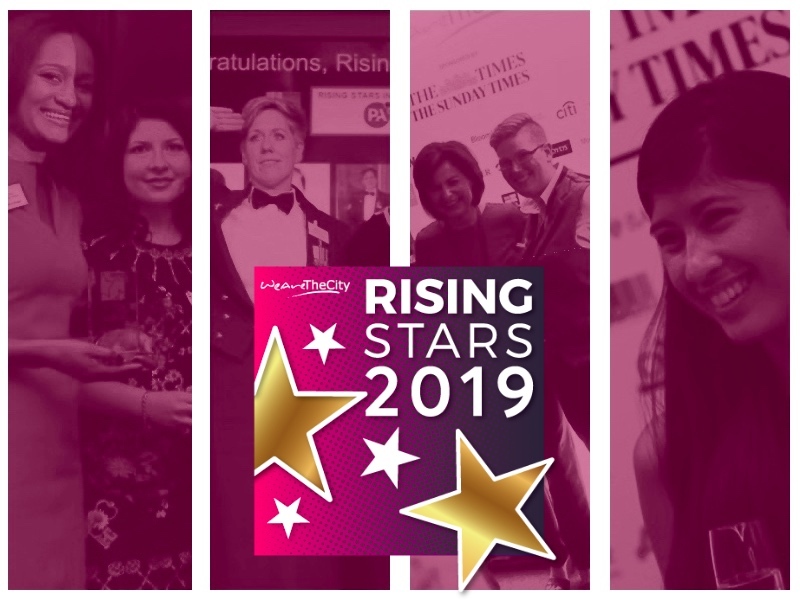 Having won a Rising Stars award in 2015, I was invited to be a panellist at this year’s event and there was no way I was going to miss this day. With over a 100 ambitious and successful women (and men) at the forefront and Beyoncé in the background, this was a true talent parade! The facts they shared were hilarious yet amazing. Lifting a bit from Jane’s speech, did you know that the first Woman’s Hour was actually hosted by a man? That was in the 1940s because back then, it took them a few months to find a woman who could present the show. The show has also been the first to discuss many topics, such as homosexuality. A mum triggered this one in the 1950s when she didn’t know who else she could reach out to. We were up next as Jane kindly interviewed the 2015 winners. It is certainly a very humbling moment when 100 fabulous women from various walks of life, ranging from defence to charities, look up to you and want to know more about you. But as Jane questioned us with effortless spontaneity, we heard (and shared) some very entertaining stories, and the time just flew by. Over the course of the evening, it was touching to see the level of interest amongst the candidates. In my case, some saw connect because of my ethnic roots while others connected as single mothers. Yet others were intrigued about my life choices and career moves. I’m sure the same goes with everyone present there. I sincerely believe that as humans, we seek connections; and when we find one, we gravitate towards one another, enriching each other’s lives as we go. As if that wasn’t enough, I got to walk home, with my very own personal fans – Sara and Valentine. Two of the shortlisted candidates for 2016, they kept me truly entertained with infectious energy and charm as we walked to the tube. Sara somehow was very impressed and kept saying, ‘I’m going to find you on Twitter and I’m going to stalk you!’ True to her word, she has left me a lovely little GIF (Twitter: @vinita_ramtri). I must add though, the admiration is mutual. I would love to follow their success as they do mine. After all the excitement was over, I was left wondering what it was that had struck a chord. 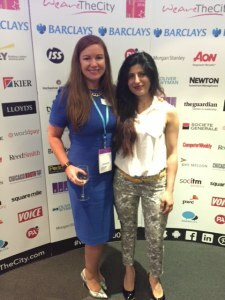 Blandly put, wasn’t this just ‘networking and drinks?’ Well actually no – there was so much more to it than that. Exhausted, I fell asleep in no time. 1. Networking is only a channel: As you step into the networks, there are real people with real stories and what you get from them will depend entirely on what you seek. Therein lies the power of networking. 2. Every day is a new day: While a lot has been achieved and there is much to be grateful for, there will always remain more that we could do. So ladies and gentlemen watch this space; as all the phenomenal talent, unravels with grace. I wish all the candidates the best of luck. Finally, a huge thank you to WATC and everyone who supported the event. As individuals, we create ripples but with good old teamwork, they have magicked up a huge wave!